So, you have a big, sunny lawn. But, you want flowers. 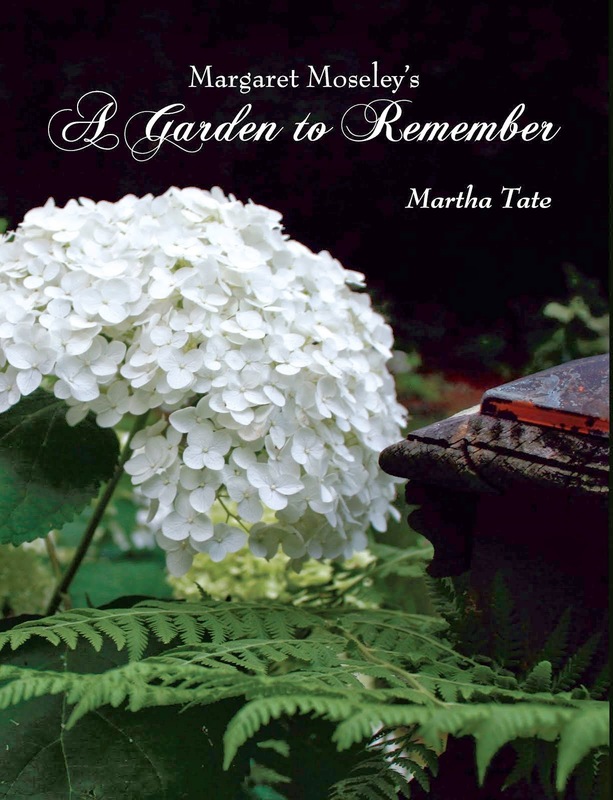 Where do you put flower beds, and how do you change from grass to deep, rich soil? A gardener in Asheville, N. C., was showing me around her terraced garden on a mountainside when she pointed out her newest bed, dubbed "The Wall Street Journal garden." She explained that she had killed the grass by putting down layers of opened pages of The Wall Street Journal and then covering them with manure and mulch. After a year passed, she tilled the whole thing under and had excellent soil for a garden. Sure enough, if you dug down with your hand, you came up with rich, dark soil - and some tiny pieces of The Wall Street Journal. 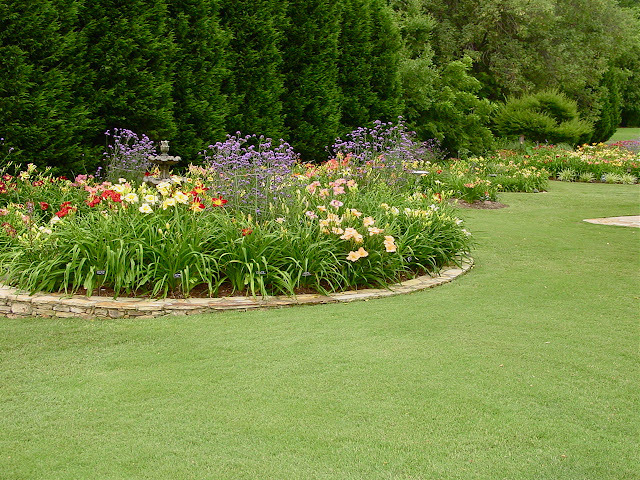 Above is a garden created by Claude Carpenter, an active member and former president of the Daylily Society of Greater Atlanta. Claude carved seven beds out of what was once a solid acre of Bermuda lawn. The inspiration for the rounded and oval shapes came from a visit to a south Georgia daylily garden. "I get a lot of ideas by going around and looking at other gardens," he says. What you can't see from this view is that he has stone paths going into the beds to access the flowers. There's even a fountain in the bed in the foreground. In Claude's case, he removed the sod and built the beds up with mushroom compost. Running along the side of his lot, he also has a two foot wide, 100-foot-long border in front of a rail fence to accommodate his vast collection of daylilies. Claude's beds have no square corners; all are rounded "to make it easier to mow." He keeps all the margins groomed with a gas edger. "You've got to be willing to do a little work, " he says. "But you could do the same thing on a smaller scale." Note: I took pictures of dozens of daylilies in Claude's garden. I wanted them all. You can see that he has Verbena bonariensis (the tall purple flowers) mixed in with the daylilies. In the back beds, the red you see is monarda, or bee balm. Claude's tips for growing beautiful hemerocallis: Give daylilies plenty of sun and loose, rich soil and good drainage. Keep them evenly watered. Divide every three to four years in the fall. Keep yesterday's spent blooms picked off for a neat look. My own warning: Deer adore daylilies. Curves are more forgiving in just about anything. I love these beds and have used the layering effect to kill sod too.